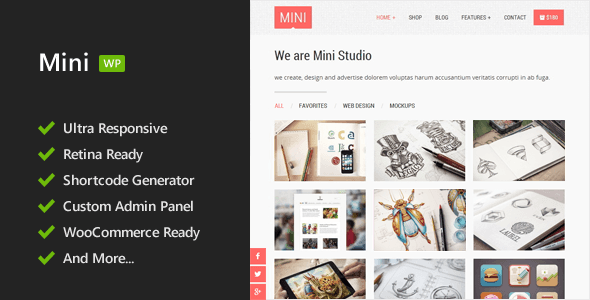 Mini is a unique clean responsive WordPress theme designed for your corporate,creative or e-commerce business. Optimized with mobile first techniques,full retina display support and scalable icon fonts,this theme is easy to work with.It has Custom post for projects with corresponding shortcode to display a filterable gallery/showcase.The theme comes with Custom Widgets for Flickr and Dribbble. 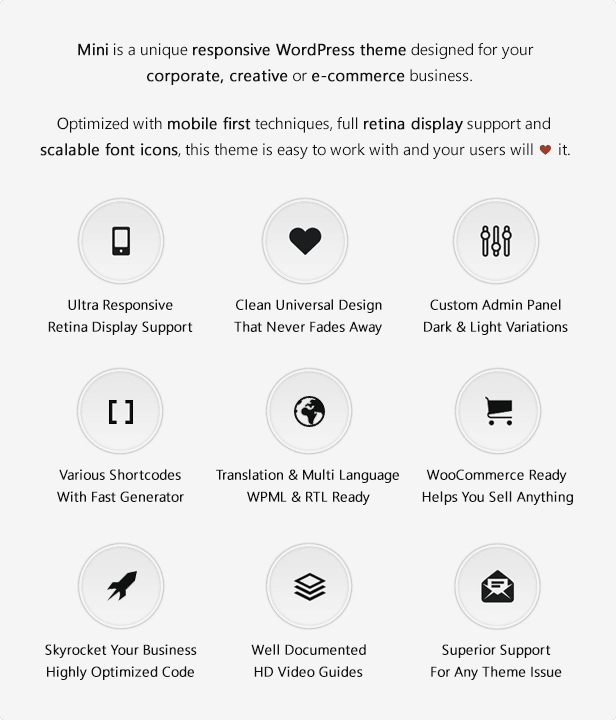 This theme is really beautiful, a must have wp theme.